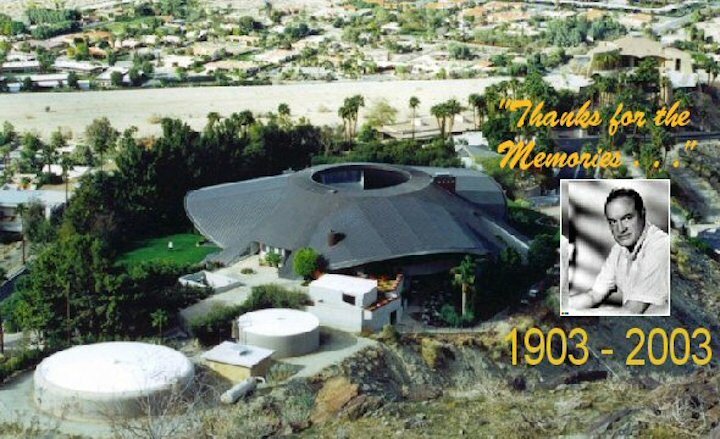 Gabby and I share an enthusiasm for the mid-century modern architecture of John Lautner. 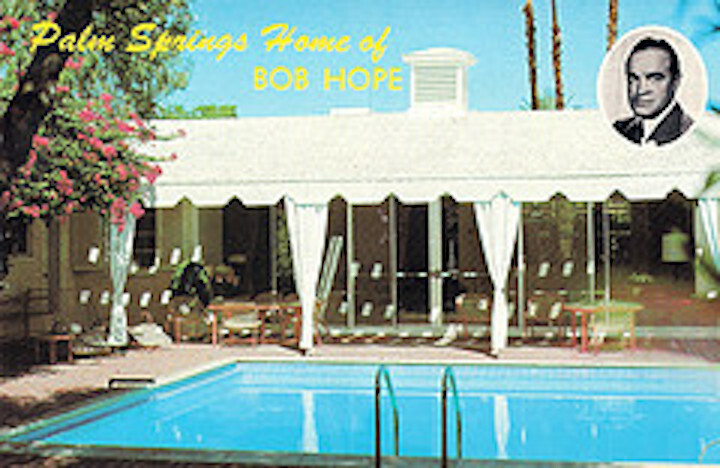 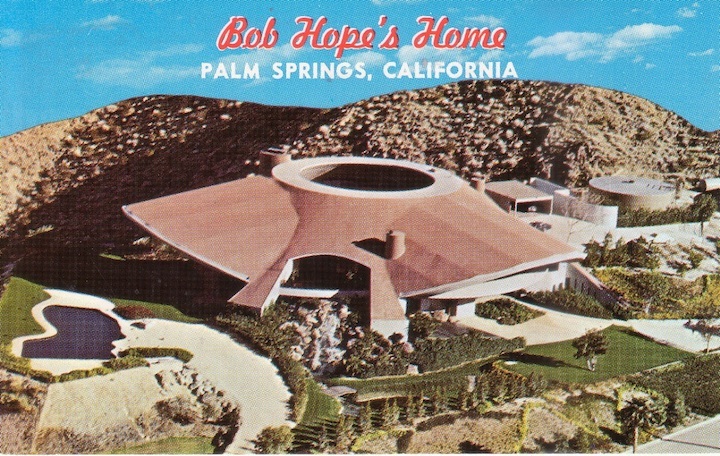 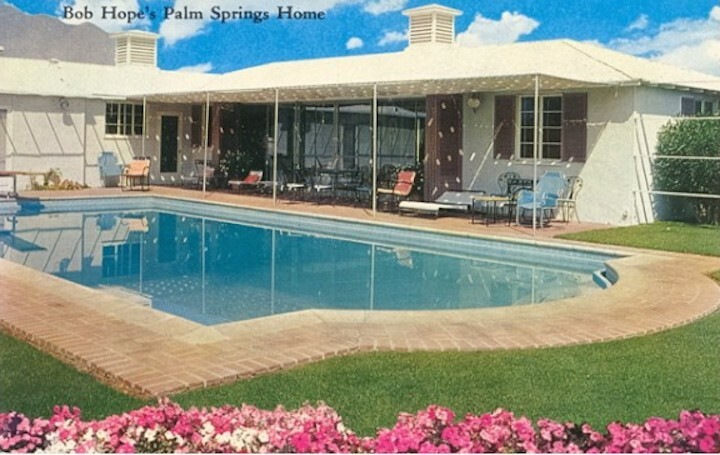 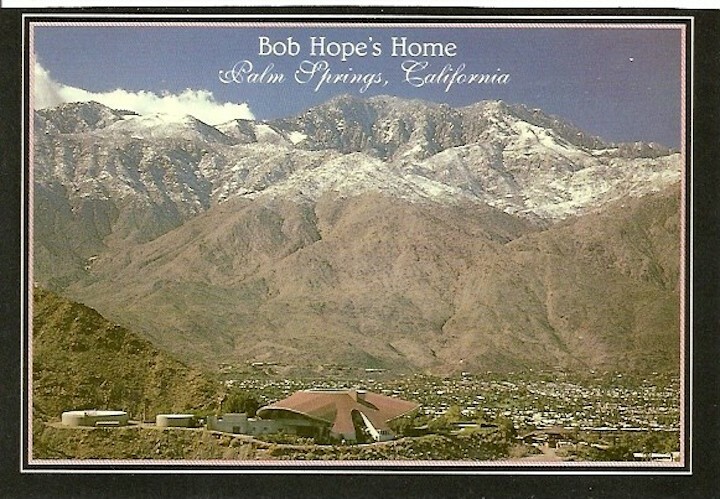 I sometimes can take or leave Gabby’s postcard collections, but this modest set that he sent my friend depicting Bob Hope’s Lautner-designed house in Palm Springs interested me. 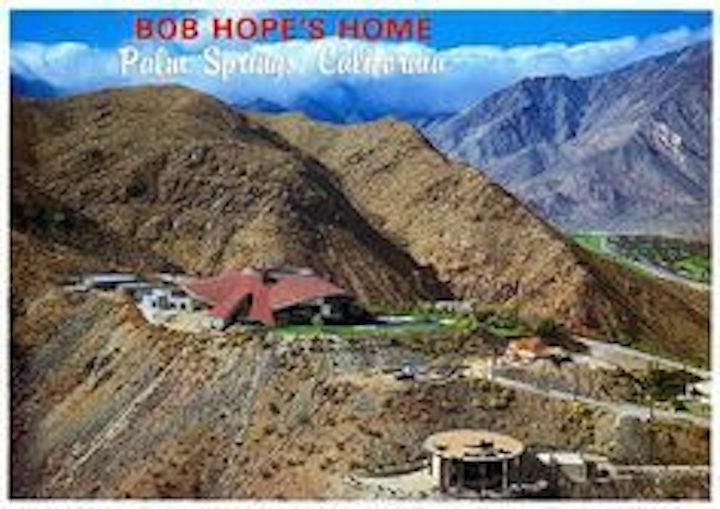 I like it from an aesthetic point of view, but also I have memories of it, of driving between Palm Springs and Indio in the 1970s while working for the United Farm Workers and seeing it floating on a hill above the valley. 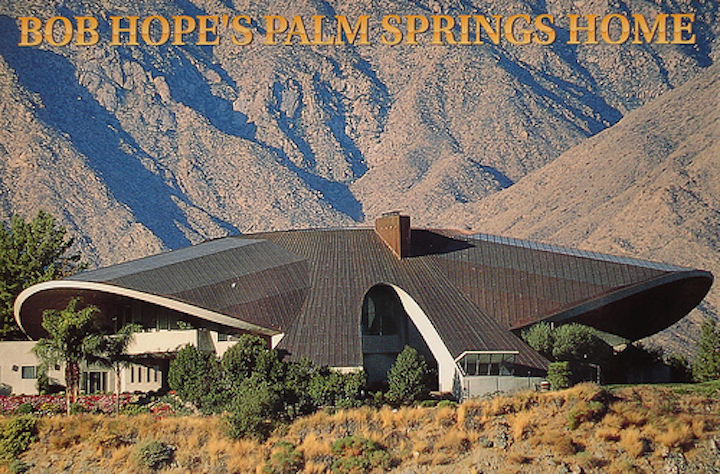 It was a monument to old, cool, wealthy Palm Springs, and a foil to the poverty of the Mexican and Filipino farm workers we were working with.